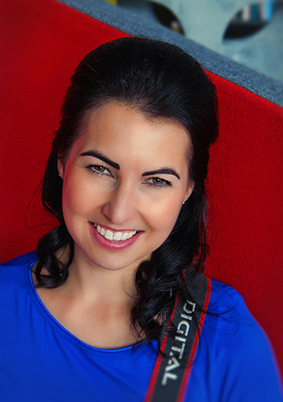 With 10 years in the photography & design industry, Lucy G is a professional photographer and specialises in landscape, nature, fine art and architectural photography alongside running her printed ‘ímage on glass’ kitchen splashback business. She lives in Meadowbank, Auckland and has been an ‘artist in residence’ at Art Station in Ponsonby Road. Lucy is a Fellow member of the NZIPP (New Zealand Institute of Professional Photography) and is a qualified Commercial Photographer. She studied at Auckland University and holds an Architecture Degree with photography being self-taught. Along with numerous Gold, Silver & Bronze NZIPP print awards. Up until March 2013 she worked for 10 years as a full time architectural / interior designer and was constantly exploring & pushing the fundamentals of design - ‘colour, composition & detail’. This can be seen in the amazing Yellow Treehouse Restaurant, a once in a lifetime project which she designed (whilst working for Pacific Environments Architects) for The Yellow Pages which won many national & international awards & recognition. Now after much thought, and working too many late nights, Lucy has decided to concentrate on her photography / art career full time & enjoy being her own boss and making her own money ! However these invaluable skills gained in the architectural & interior industry along with a continued motivation to think outside the square have made her the all-round ‘Creative’ she is today and can be seen in her innovative printed kitchen splashback business set up in 2013, and products such as her printed lampshades and many custom jobs for clients such as the photographic printed lift shafts for the Jasmax designed NZI Building in Auckland. So along with Lucy’s panoramic NZ landscape photography, she now pushes & merges the boundaries of NZ photography & art which is seen through her more recent mixed media 'digital fusion' works which layer texture, drawing and painting. This method of ‘creating’ uses today's technology produces works that are enchanting, innovative & exciting. However they still derive their content largely from photography but are processed in a way that makes them look more like mixed media or paintings. Her inspiration lies outside with our beautiful NZ landscape, our native birds, trees & flowers and she often will see beauty in many things that others would view as ugly and derelict. So from humble beginnings many years ago selling her photos at Aotea Markets she has come a long way and is excited at the prospect of continuing to innovative & create stunning works that make people smile and brightens houses & lives with NZ photography, art & design.